F, N, Q, R & W trains to 57th Street.1, A, B, C, D trains to Columbus Circle. 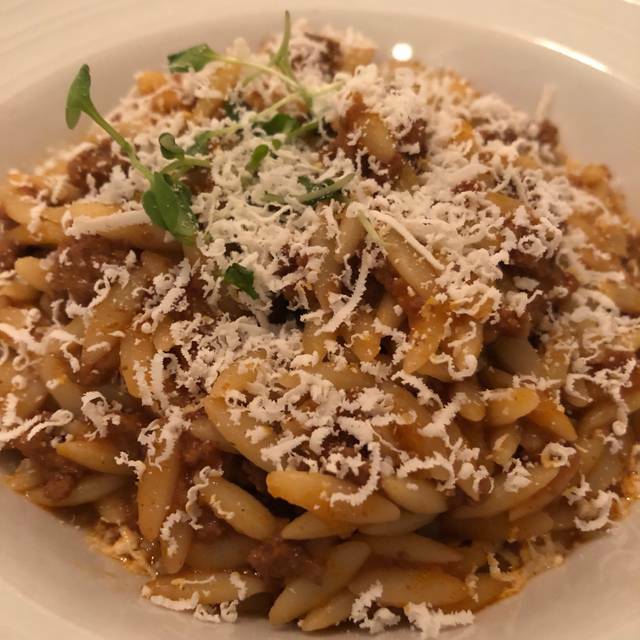 Please contact us directly to discuss your catering needs, 212-713-0015 or info@loiestiatorio.com - we look forward to catering your next event! 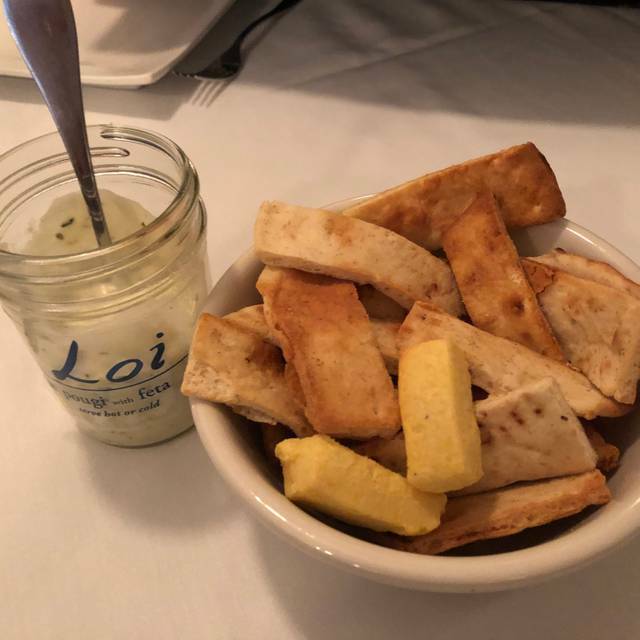 With the International Ambassador of Greek Gastronomy, Chef Maria Loi, at the helm, Loi Estiatorio is a Mediterranean oasis in the heart of Manhattan, celebrating the flavors and hospitality of Greece, like the Greeks. Loi Estiatorio is an upscale take on Chef Loi's homeland cuisine, an ode to her roots with a unique and innovative twist. The menu is 100% butter free. 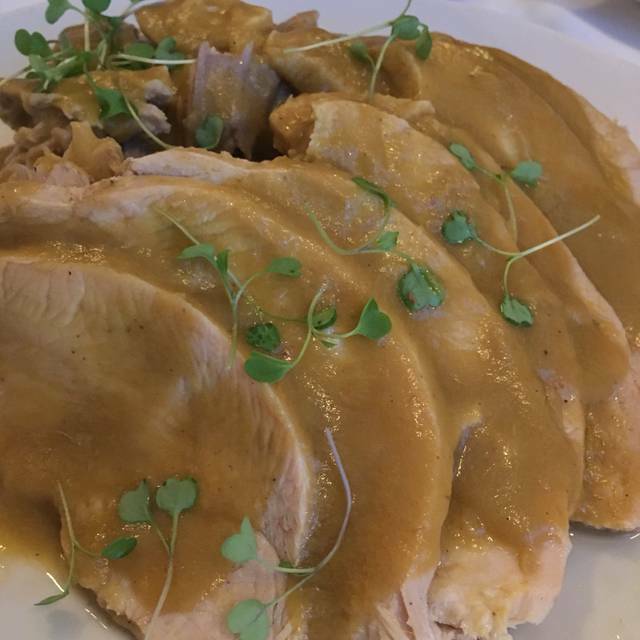 *Celebrate Greek Easter at Loi Estiatorio! We will be offering a special Greek Easter Prix Fixe menu from 12pm-8pm on Sunday, April 28th, alongside our a la carte menu - make your reservations today! Most amazing ambianceNY at its best! and warmest hospitality from owner-chef Maria LOI and Alex! Fabulous evening spent at this lovely restaurant.The chef,Maria Loi was very attentive.We needed to change one of the vegetable dishes,Maria sorted it out personally .She has a long chat with us and even parcelled up some extras for us to picnic with the following day . The fish was excellent, according to my dinner companions, as were the octopus and calamari appetizers. I ate the four-dip appetizer and found three quite lovely. The hummus should not be included: the texture (and almost the taste) was like grainy cement. We were served an unseasoned dish of horta, which was so plain (no salt, lemon, anything) that it had to have been a mistake. Even this greens-loving vegetarian could not swallow but a quarter of it. It made me sad since I was bringing friends who had tried Greek food only once before. On the bright side the Santorini wines and spanakopita were delightful. We had attentive servers but a strange (and sometimes competing) array of them: perhaps three seemed like waiters and one or two may have been food runners. Only one waiter, the last of the night, made for an awkward moment by breaking the fourth wall and joining our conversation. The rest were professional and efficient. We did not feel rushed and we stayed for almost two hours. I do not think I will go back but I’m glad we tried it. Great food and very hospitable. I cannot wait to return!! A wonderful evening for two! Food is exceptional - perfect portions & healthy! Chef Loi welcomed us warmly & her team is professional & polite. Will be going back soon! Wonderful Mediterranean food. Branzino shines. Chef comes out to Great you. 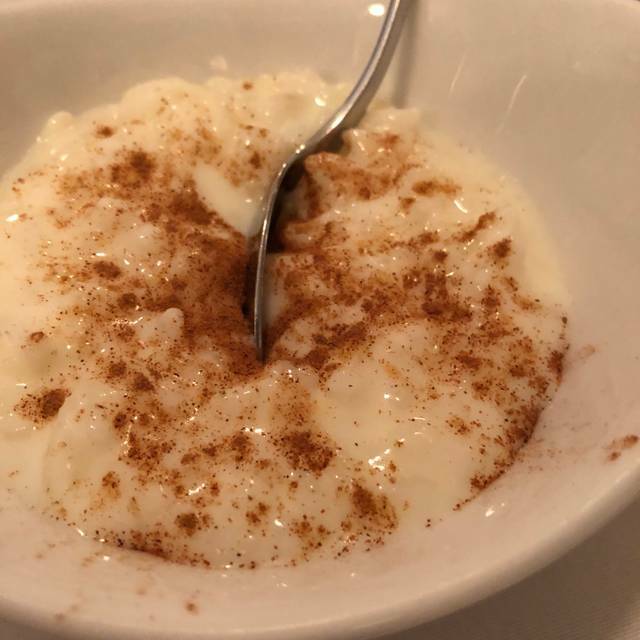 Yoghurt dessert is fabulous! Great ambiance, great food, great chef. We went there on a recommendation and weren't disappointed. If felt like a neighborhood place with a friendly owner that prepared great food. The kind of place that makes you want to hang out, eat and enjoy. I loved the dinner. The chef is very kindness, and her food delicious! This restaurant is one of my favorites in NYC! The food is always excellent and the plus is that it is actually good for you! I love how the chef will mingle with all her customers and how friendly and warm she and all the staff are. Reservations indicate bar seating, but as soon as a table is available, which may be at your reservation time, you get one. It's a fairly small restaurant. Ben at Loi for lunch recently. We all had the prix fixe lunch and everyone was content. Decent calamari and crab cake and a tasty yogurt dessert made for a nice lunch. Wine by the glass is a tad high even by ny's extortionate rates. Food was delicious, thoughtfully flavored and portioned. Homemade yoghurt was complimentary dessert, one of the BEST things I've ever eaten. Chef Loi came out and chatted with diners before, during, and to see us off. Service was cheerful and professional. Small, cozy and elegant. WOnderful food, beautifully seasoned and cooked. The Chef Loi was charming. The noise level was quite high--I didnt like it. This is one of my favorites in NYC. Chef Maria has a true culinary gift. I love the atmosphere and ambience. And I love that Chef Maria makes it a point to introduce herself and meet the patrons. It’s clear she has a true passion. Hands down one of the best places, best service, best food. 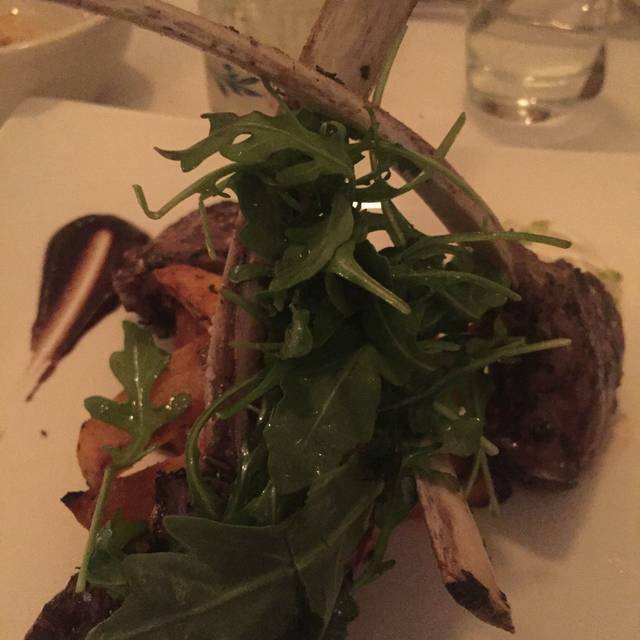 Food was incredible and service was outstanding. The owner spoke with us at the table which made our experience even better. One of the best meals we have ever had in New York!! Food is outstanding, service is great and owner is delightful! We are visiting for a short trip. We found this on TripAdvisor and thought we would give it a try. It was outstanding. We liked everything from the bread and yogurt served right after we sat down all through the dessert. We are seriously thinking of going back before we leave. SUPERB FOOD, AS ALWAYS! SERVICE COULD NOT HAVE BEEN MORE ATTENTIVE! REALLY A GEM OF A RESTAURANT!!! The food was a good deal less interesting than we expected. Having said that, we ordered from the prix-fixe pre-theater menu -- maybe the full menu is better. Service and ambiance very nice. Great dinner. Friendly staff. Highly recommended. Had wonderful dinner. Everything was delicious from start to finish! I highly recommend it if you are looking for delicious Greek food!!! Everything about Loi is perfect. The team managing the restaurant, from Chef Maria on down, make you feel like family and the food is absolutely amazing. 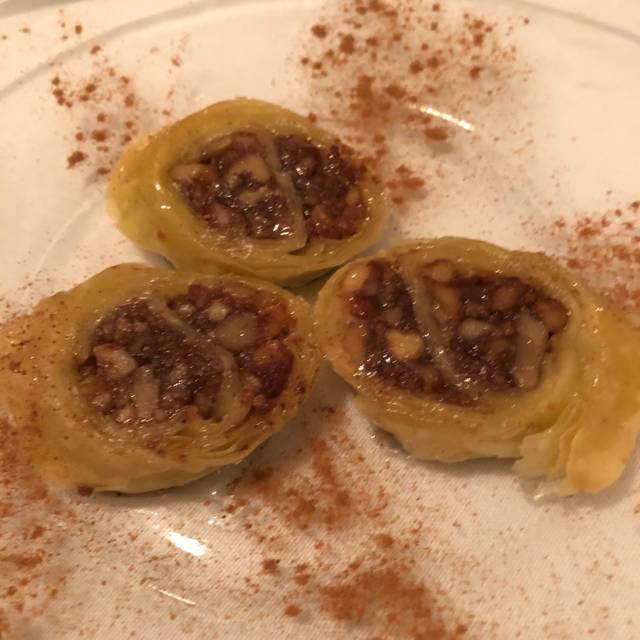 This time, I had gone with a Greek friend who couldn’t believe the authenticity of the dishes...just like his grandmother. Much better than some of the trendier Greek/Mediterranean places in town...you’re going to love it! 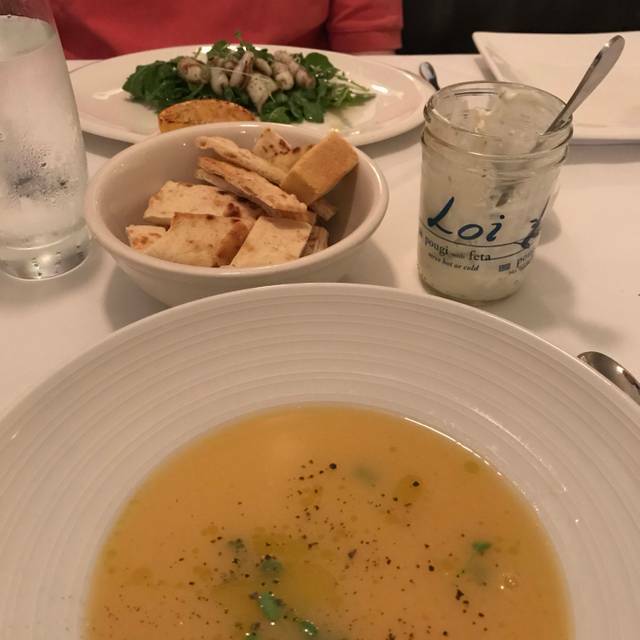 I am a regular at Loi, and have never had a bad meal there. Chef Loi seems to live at the restaurant and is very warm and welcoming to her guests and makes sure that they enjoy their meal and feel like family. I especially like the Branzino which always comes out moist and tasty. A great place for a meal. Small space that can get noisy when full. Staff is friendly and accommodating. Food is excellent. Maria Loi really knows how to make simple fantastic food. I really appreciate always getting great service and fresh food here. Branzino is a must. Everything ive had here is great. Wait staff I attentive and doesn't complain if you modify something. Prices very reasonable for what you get. We selected this mid-town site based on proximity to the Sheraton, my love of Greek food and positive reviews. We were not disappointed! Shortly after being seated we were greeted by the executive chef, Maria Loi. After a brief conversation about a trip to Greece in my youth, Maria suggested we try present day Retsina and left the bottle on our table with her complements. She was not wrong - it is much improved - though I remember thinking it was very drinkable at age 20 but then I thought everything was! We reviewed our selections with the maitre d' and with her encouragement opted for octopus and dolmades as appetizers. The dolmades were small and the grape leaves very tender - delicious! The octopus served on pureed beans was easily one of the best octopus appetizers we have enjoyed and we are fans. I had a cod special, baked in parchment with greens and my husband ordered the lamb shank. Both were so good we split each entree. Dessert was delicious and a portion that was just enough but not so much as to induce guilt post dinner. Again we were treated to the chocolate cake that was our runner-up selection. Made with olive oil it was light and delicate. I regret I don't remember the name of our chosen dessert but with a coconut honey layer it spoke Greek to me! 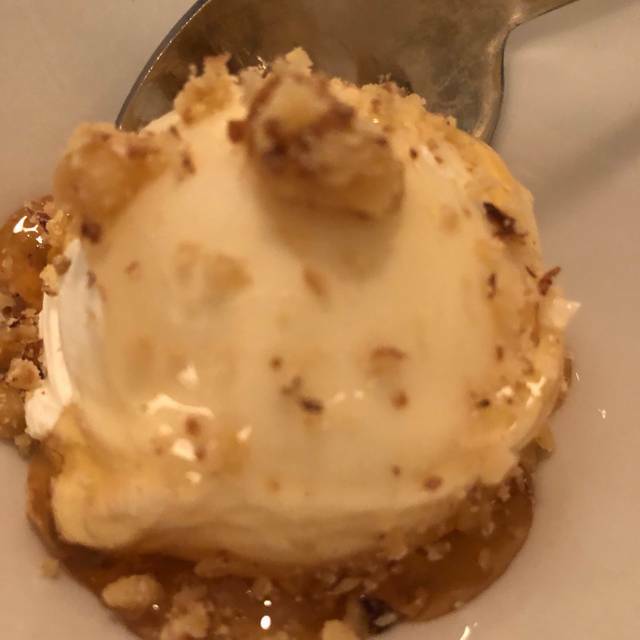 Each dessert was accompanied by a scoop of Greek yogurt drizzled with honey and nuts. A wonderful meal all around!!! The restaurant is designed in a way that is reminiscent of the islands, pure white with curves and varying heights in the ceiling design. Very chic is appearance. Our seating was not optimum and there was the potential for draft but the staff is so attentive and keeps a close watch on the door that we were never uncomfortable. This a restaurant that could stand alone based on the quality of the food but goes above and beyond is all areas of service. Thank you for your generosity and a wonderful evening in NYC! Wonderful and intimate setting and experience. Very personal service and excellent food by Team Loi! We enjoyed our meal. My husband had the lamb shank with orzo and I had spanikopita. We shared dolmades and halloumi as appetizers. We splurged and split the Baklava and yogurt for dessert and are making plans to return. Miss Loi greeted all the diners and was warm and exuberant. All in all, one of the better dining experiences we've had in NYC. First time, not the last. Close to Carnegie Hall. Courteous and very attentive staff delivered flavorful dishes. They cared (at the many levels) about our dining experience. Outstanding as always. Service is good, Maria Loi is always a gracious host, and the wine selections are interesting. We had the pleasure of dining at this restaurant with all the family and children, friendly reception, the own chef Maria Loi welcomed us with much friendliness. Very professional staff. Highly recommended for a great meal. We'll be back for sure.